Search Nicholasville, KY farms for sale below! Nicholasville farms benefit from high quality soil in the north and gorgeous scenery in the south, making it a fabulous location to establish a horse farm. The northern portion of the county is the most popular place to establish farms in Nicholasville and is surprisingly the most urban as well. Located just south of Lexington, Nicholasville is the beautiful county seat of Jessamine County and is a thriving hub of economic activity. The entire Nicholasville area is uniquely urban, essentially making it an extension of Lexington and giving the community a different feel than other nearby counties. Nicholasville farm owners also have access to a phenomenal collection of local shops, services, and restaurants. Browse Nicholasville farms and land, learn more about the community! Beautiful 19.8 Acre Farm That Can Be Divided Into 2 10 Acre Tracts. 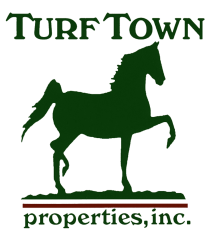 Nicholasville's land and acreages have phenomenal potential to be converted into quality horse farms, especially in the northern portion of the community. The high quality soils and supportive local businesses are invaluable assets for Nicholasville farm owners and can truly contribute to their success. Or if you prefer, you can simply purchase a gorgeous parcel to develop into one of Nicholasville's finest communities. Similar to nearby communities of Lexington and Richmond, investing in this city is sure to be a lucrative decision. Property values range widely. Starting below, $100,000 it is possible for home buyers to invest in a one-acre plot. This can be perfect for those who only have one horse or for those who are looking for a taste of rural living without the challenge of maintaining a large property. For those who are on the hunt for an expansive property that feels limitless in its immense scope, there are acreages in the area that offer more than 200 acres of picturesque land brimming with possibility. When it comes to structures on farms for sale in Nicholasville, there is a broad variety of options. If you're interested in horses, it's possible to find land with a barn already established. Some have humble barns fit for just a few horses while others feature upwards of 20 stalls and would be good for a commercial horse farming venture. Other properties boast elegant Colonial-style homes with top-of-the-line finishes, expansive floorplans, and oodles of country-style charm. Depending on how you envision your dream farm in Nicholasville, there are plenty of options for buyers of all kinds. Nicholasville has made it's mark in Central Kentucky as a leader in horse-related economic enterprise. The Alltech Biotechnology Center, Central Kentucky's largest sport horse competition sponsor, is just one of many companies to call Nicholasville home. These local businesses are highly supportive of Kentucky's farm culture and provide significant value to the community. Additional major businesses in the Nicholasville farm region include R.J. Corman Railroad Group, Central Baptist Hospital Diagnostic, St. Joseph Health Care, and McLane Cumberland. A couple of major horse farms operating in the north of Nicholasville are Ramsey Farm and Taylormade. The downtown region of Nicholasville is an area reinvented. Local businesses are seeing improved activity, and several new businesses have opened. A new performance park is planned to be installed into the downtown, and the recreation area is anticipated to be used for musical performances, art exhibits, and other community gatherings. When it comes to recreation, Nicholasville is the host of the Kentucky Wine & Vine Fest. In fact, the annual showcase features vintages from commercial and amateur contestants across the entire state. If you enjoy a glass of red, white, or rosé, this should be an annual event you mark down on your calendar.